The clock was ticking—a little girl was seriously ill—when I got the call for help. A Denver hospital needed living tissue from Thujopsis dolabrata or any of its cultivars within 24 hours to determine if the plant was the cause of the girl’s life-threatening allergic reaction. Don’t call us first! Call the U.S. Poison Control Center at (800) 222-1222. If you need help identifying a plant to determine if it’s poisonous—and it’s not an emergency—try our Plant Information Service at (847) 835-0972. Please bring in a live plant sample for an accurate identification. The girl had been flown in from Japan to be treated at the hospital, National Jewish Health. After I got the call, I looked into the hospital, which is known worldwide for treating patients with respiratory, immune, and related disorders. In the girl’s case, the doctors apparently had a list of potential allergens they were testing, including Thujopsis, a rare evergreen shrub that is native to Japan. A hospital official began the search for the plant with a colleague of mine at the Denver Botanic Gardens. My colleague met the girl’s grandmother, who showed her a picture of the patient’s red and inflamed face. 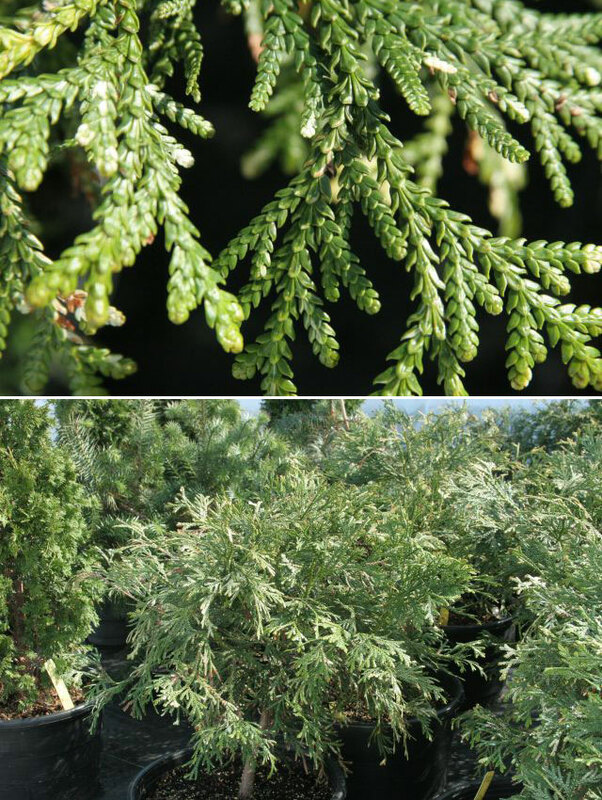 When my colleague couldn’t help, she checked around and found via the Chicago Botanic Garden’s free smartphone app, GardenGuide, that we have the plant, commonly known as hiba arborvitae. While the call came out of the blue—in my 17 years at the Garden, I’ve never fielded such a request—this type of emergency was not new to me. I used to be in charge of landscaping at the University of Texas Medical Branch in Galveston, and occasionally supplied plant samples from the campus gardens to the Texas Poison Control Center. Now, as the Garden’s director of living plant documentation, the response just kicked in. It’s always a good idea to be aware of toxins in your home. The ASPCA keeps a list of houseplants that are toxic to pets; for a list of commonly available houseplants toxic to humans, check out this most common poisonous houseplants fact sheet from the New York Botanical Garden. In the Garden’s production nursery, I snipped a branch from two different cultivars of Thujopsis. Within three hours of receiving the request, I had dropped the samples off at FedEx on the way home. As it turned out, Thujopsis did appear to be the culprit, and the hospital is continuing to test the girl’s blood samples with extracts from the Thujopsis to determine what constituents are causing the allergic reaction (the same constituents can be found in related species, so the search to identify other potential sources is prudent). Meanwhile, the girl responded quickly to emergency treatment, was stabilized, and returned to Japan. While public gardens and other outdoor spaces are often recognized for their mental health benefits, this incident reminded me of the fact that botanic gardens have made important contributions to the physical well-being of people in need. For more than 450 years, botanic gardens have collected and housed plants from throughout the world for the public good, from medicinal plants in the sixteenth century to food crops used to expand and improve people’s diets (like potatoes, tomatoes, and corn introduced to Europe from the New World, and global economic plants like tea and cocoa). I’m proud to be a part of this history.